Proteocyte AI and Proscia are mutually committed in the fight against cancer, and the merging of our technologies will help pathologists and doctors give more effective prognostic assessments than the current standard of care. Proscia Inc., creators of AI-powered digital pathology software, and Proteocyte AI, a company designing tests that accurately predict the risk of developing cancer, today announced they have signed a partnership agreement to integrate Proscia’s technology with Straticyte™, a specific test for predicting the risk of progression to oral cancer. 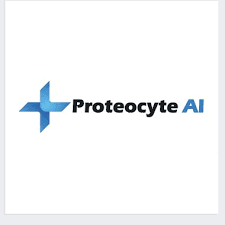 Proteocyte AI will leverage Proscia’s cloud-based platform to orchestrate workflows of patients, doctors, and laboratories, enabling Proteocyte AI to offer a more comprehensive solution. "Oral cancer can be a devastating disease. We know that early detection can make the difference for oral cancer patients yet we've had a gap in technology in terms of predicting which oral lesions will transform to oral cancer. Straticyte provides us with more information so that treatment plans can be further personalized and outcome for patients may improve," said Dr. Kevin Lung, Oral Maxillofacial surgeon at Kingsway Oral and Maxillofacial Surgery Clinic in Edmonton, Alberta, Canada. Proteocyte AI is focused on combining artificial intelligence and protein biomarkers to determine a patient’s five-year risk of developing cancer. This technology predicts who is at risk to develop cancer before they actually have cancer. Proteocyte AI’s Straticyte is a test that predicts the progression of oral premalignant lesions to invasive oral cancer. Straticyte enables healthcare professionals to customize patient treatment, improving outcomes for patients at risk for developing cancer, while reassuring those patients who have minimal risk of disease progression. The test can be easily incorporated into clinical practice as no additional tissue samples are needed for assessment. Straticyte is currently being offered on a complimentary basis during the month of April in recognition of Oral Cancer Awareness month. "Straticyte provides information to healthcare professionals that can make a real difference. We believe our test will enable earlier treatment of patients contributing to the patient's quality of life and reduce healthcare costs," said John Davis, President and CEO of Proteocyte AI. "The Proscia platform is a good fit for Proteocyte AI as we move to our next stage of development, focused on commercialization and market expansion to fuel global growth." Proscia’s cloud-based platform offers an opportunity to combine the Whole Slide Images of digital pathology with other sources of data – such as LIMS, EMR, laboratory data (“-omics”), and radiology images, and then apply algorithms to provide pathologists with a more complete, computer-assisted view of the disease processes present in a tissue sample. Such algorithms can identify complex histological patterns like tumors, classify cancer subtypes, and even predict outcomes with a high degree of accuracy. These building block capabilities can be deployed in pathology workflows for precision screening, automated triaging, and used as image-based assays as corollaries or in complement with their molecular counterparts. For those labs interested in a complimentary offering of Straticyte, please visit http://proteocyteai.com/. If your lab is interested in becoming a Proscia digital pathology partner, visit https://proscia.com/partner. *Proscia software is not intended for use in primary diagnosis. Proscia was founded in 2014 by a team out of Johns Hopkins, the Moffitt Cancer Center, and the University of Pittsburgh to improve clinical outcomes and accelerate the discovery of breakthrough advancements in the fight against cancer. Using modern computing technologies that unlock hidden data not visible to the human eye and turning that data into valuable insights in the fight against cancer, the company is dedicated to improving the efficiency, speed and quality of pathology diagnostics and research. To learn more, please visit http://www.proscia.com. Proteocyte Diagnostics Inc., operating as Proteocyte AI, is a Canadian company designing tests that accurately predict your risk of developing cancer. Its first product Straticyte™ is a novel prognostic oral precancer laboratory service that accurately predicts a patient’s risk of developing oral cancer. Straticyte objectively and accurately detects oral lesions at high risk of transforming to cancer and those that pose low risk. Early diagnosis of high risk lesions permits more effective and less traumatizing treatments. By identifying and treating oral cancer before it happens, clinicians can save lives, healthcare costs are reduced and quality of life of patients is improved. Identifying more accurately low risk precancerous lesions avoids unnecessary surgeries and allows clinicians to monitor patients regularly for peace of mind.